Every year, I try to do something completely out of my comfort zone. 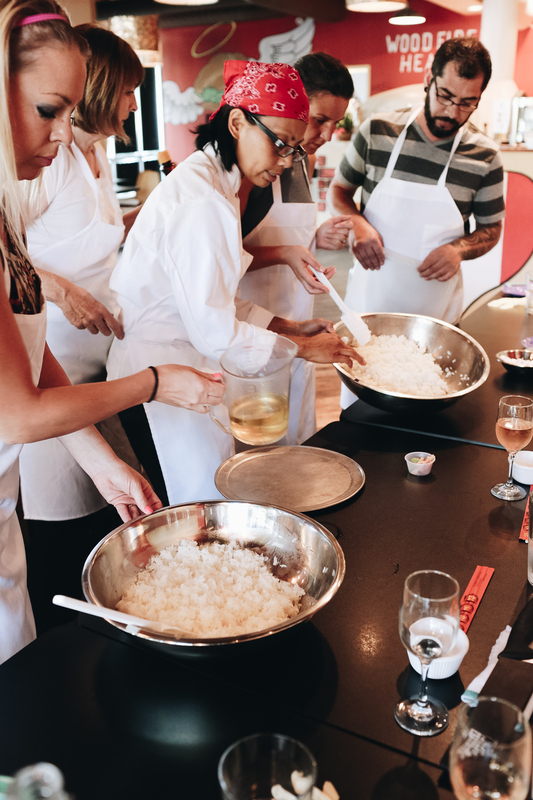 Taking a cooking class is something that has been on my bucket list for years, but either I didn’t have the money for it or no one wanted to go with me. 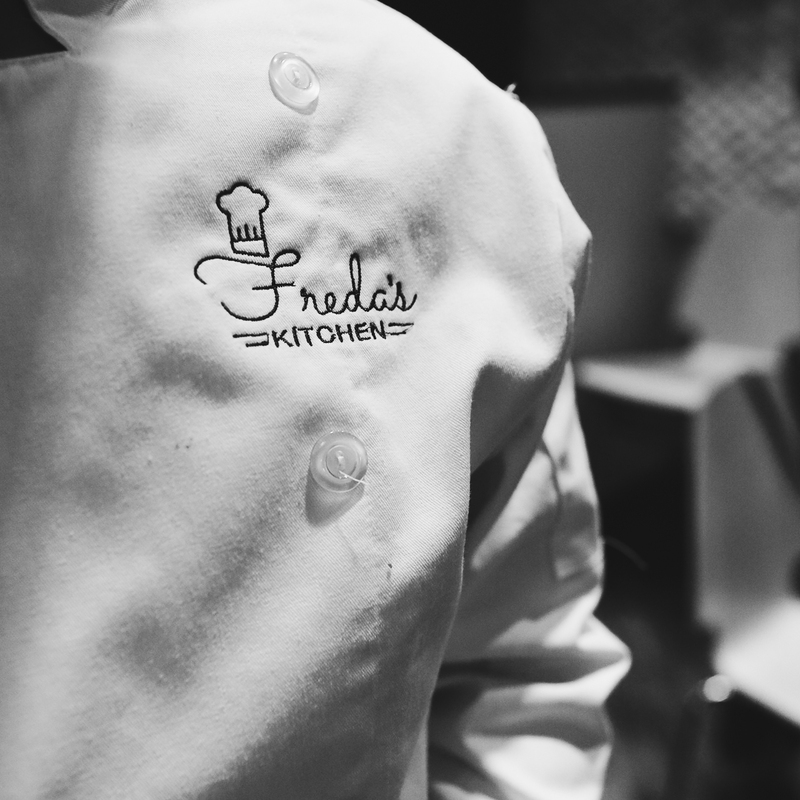 When Freda’s Kitchen contacted me about trying out one of their classes, I was very intrigued. I did a little research and was impressed with their business and what they had to offer. They’re more than just a company offering a service—they genuinely care about the art of cooking and providing an authentic culinary experience that people can take home with them. They only work with local ethnic chefs who have a true passion for the cuisines they create and share. You don’t just learn a recipe, you learn a culture. 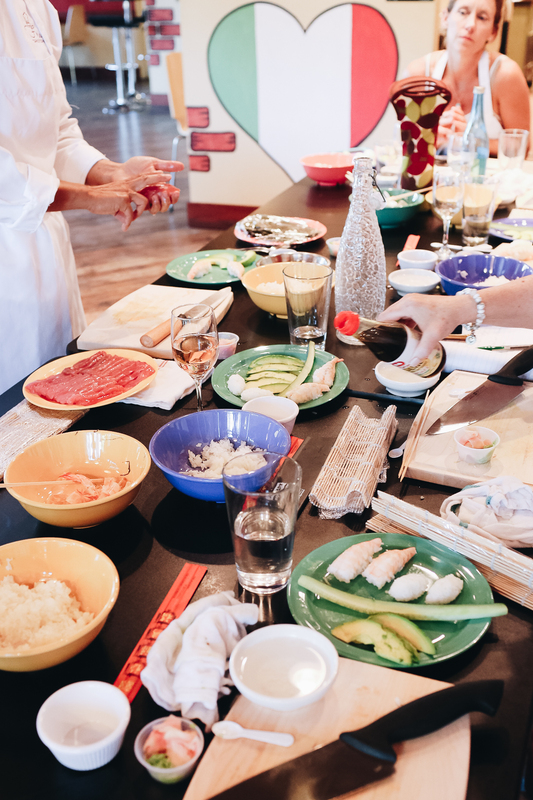 I noticed they were offering a sushi making class, so I signed up right away! 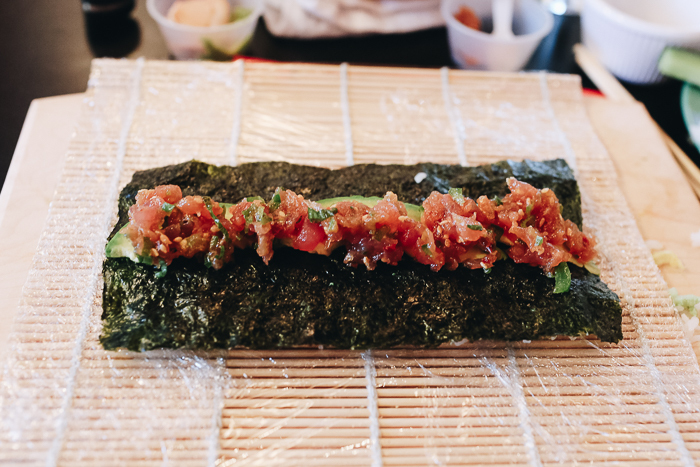 Sushi is one of my favorite foods, and I’ve always wanted to learn how to make it for myself. I still couldn’t find anyone to go with me, but that’s okay. Being on my own isn’t new to me anymore. Plus, everyone in the class was super friendly! A woman and her mom even offered to share their wine with me. 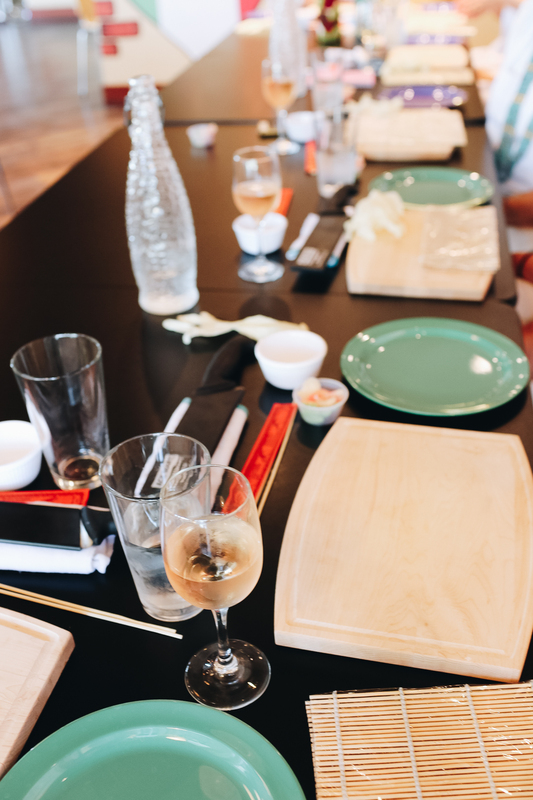 Oh, did I mention all of Freda’s Kitchen classes are BYOB? How awesome is that? 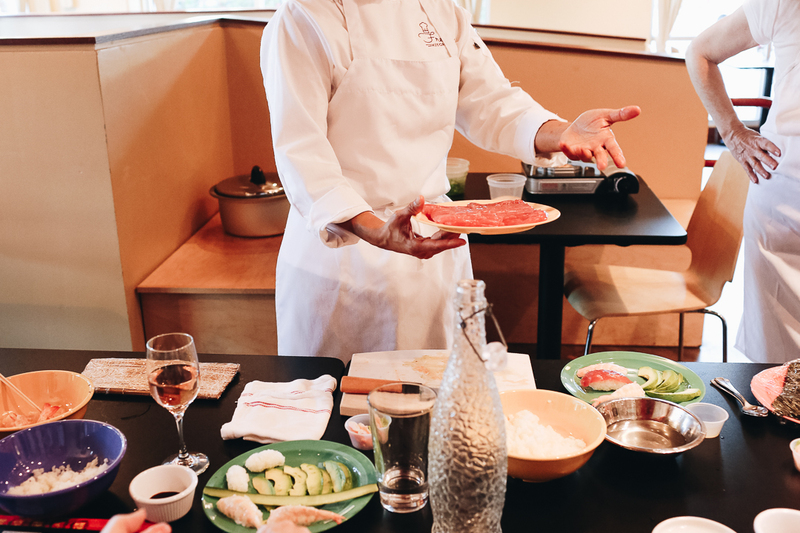 The classes are very intimate; there were only like 8 people in my group, so you really get to be up close to all the action and even chat with the chef in a casual setting. Our chef was amazing! I learned so much about sushi. 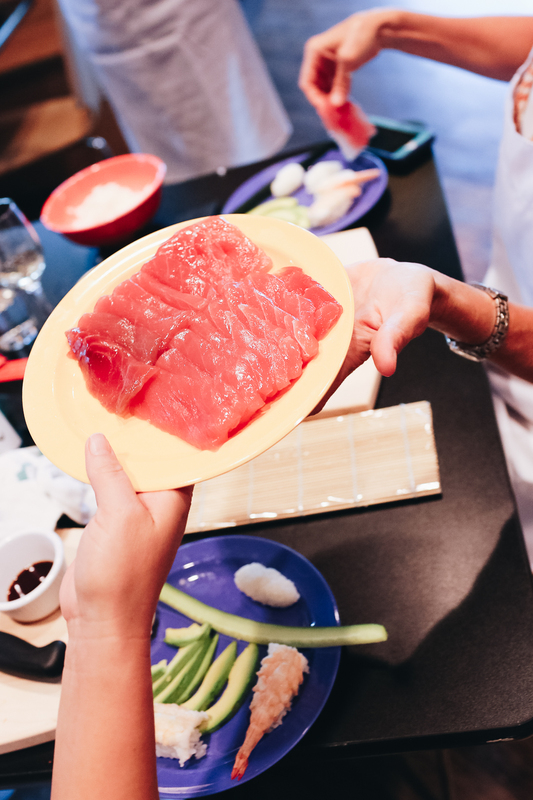 Like how sushi chefs judge other Japanese restaurants based on their quality and quantity of rice used. The less rice used in/around a roll, the better. Any more than necessary and it’s assumed that the restaurant is just trying to overload you on rice with a lack of fish. She also talked about Japanese culture and explained the proper etiquette of eating sushi—such as not rubbing your chopsticks together, don’t stick your chopsticks in your rice, and avoid dipping your roll into soy sauce (it’s meant to be used sparingly for just the fish). I’ll admit I felt kind of cool because I had learned most of what she was talking about when I went to Japan last year. Like the fact that specialty rolls aren’t even a thing in Japan. 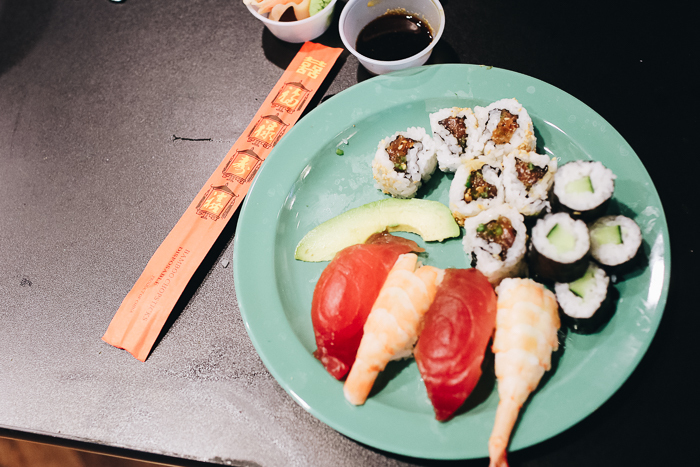 They mainly stick to just nigiri and sashimi. This fact alone is why Japan never completely ruined sushi for me in the states. That would have been a tragedy. 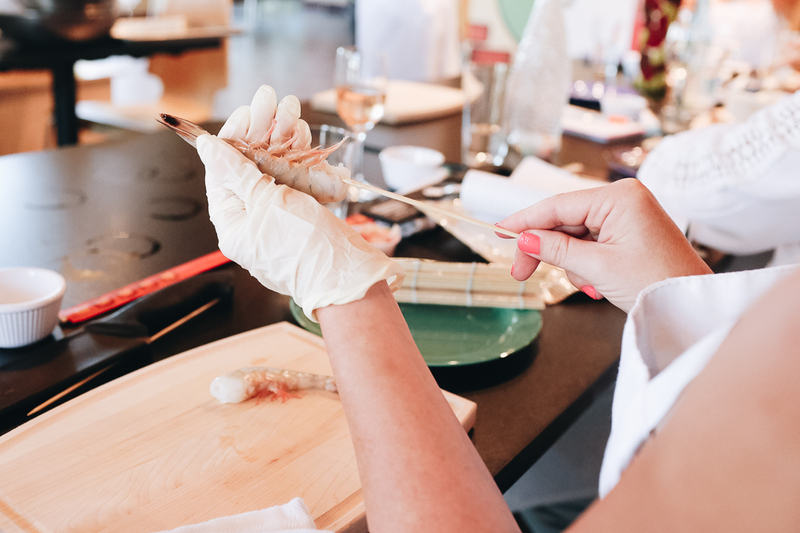 Our chef really wanted us to be hands-on with the preparation, so we were all helping out and doing our part before working on our own sushi rolls. It was so much fun! 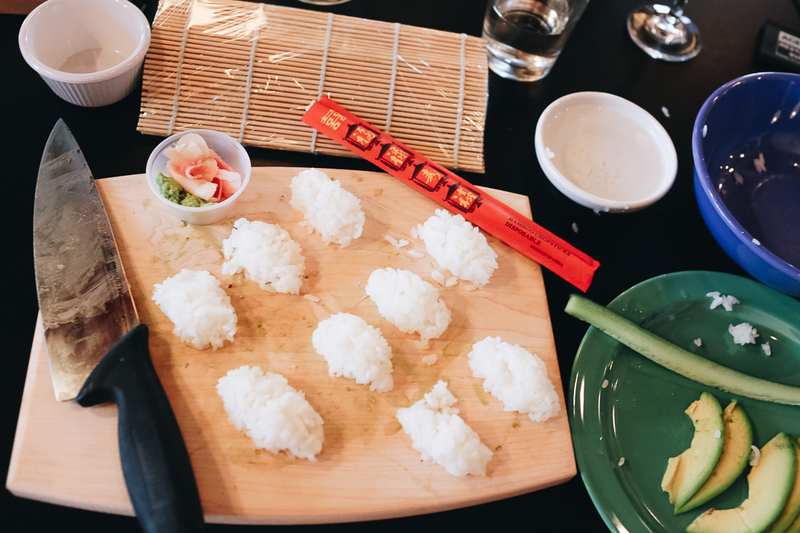 Overall we made two types of nigiri sushi (shrimp and tuna), two rolls (spicy tuna and cucumber), and we were even served delicious bowls of miso soup in between. 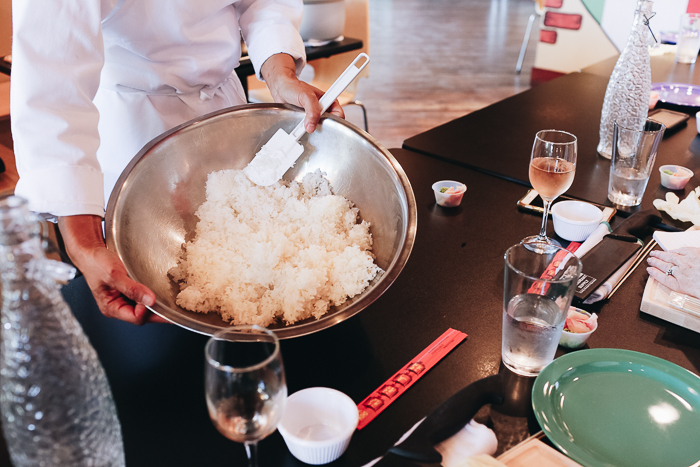 I learned how to make sticky rice and how to to keep it from sticking to your hands, how to properly adjust fish onto rice to make the perfect nigiri piece, how to physically roll the sushi roll without it falling apart, and how chefs cut and prepare their cuisine for customers. 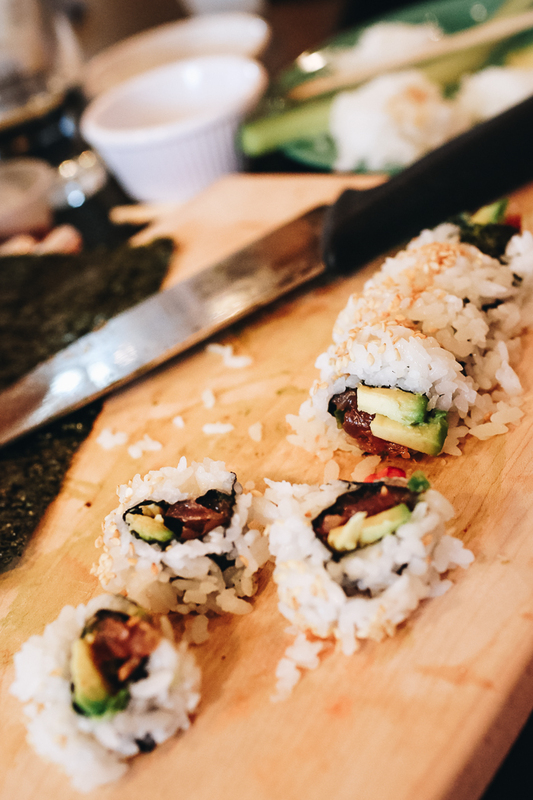 Making sushi seemed so out-of-reach for me before, but now I know it’s actually possible—even for me, a girl who may or may not eat cereal for dinner more often than she’d like to admit. If you live in Austin and are interested in taking a cooking class, I highly recommend Freda’s Kitchen. 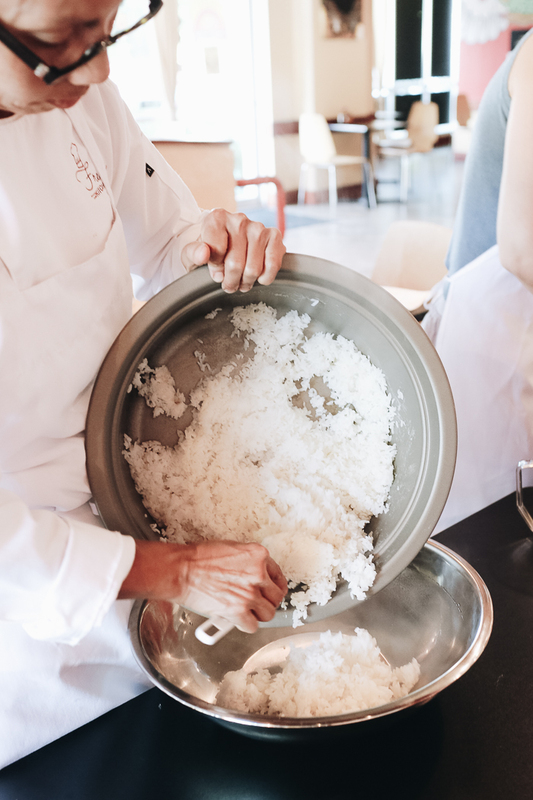 You can find a simple recipe anywhere, but you’ll learn even more by getting the hands-on experience with a pro first. Make it a date night with your boo or a fun outing with your girlfriends—or heck, go by yourself like me and just do it for you. Treat yo self with food that you made yo self. Ooo, that was catchy. I’m keeping that. This post was sponsored by Freda’s Kitchen; thank you for your support!